BonBonerie – Go There. Try That. 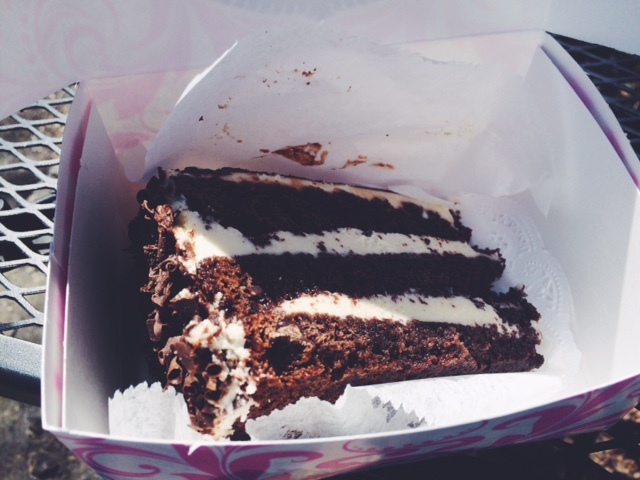 Since this is my birthday month, I have to highlight my most favorite cake of all time: BonBonerie’s Opera Cream Torte. What I learned recently is that this is BonBonerie’s original, signature cake- it’s been on the menu for over thirty years! Smart people. I know nothing I say can do this dessert justice, but I will try. The Opera Cream Torte is made with layers of moist, rich, dark chocolate cake, chocolate chips, rich opera cream filling, and iced with creamy chocolate ganache, chocolate chips, and white chocolate diamonds. It’s absolutely a-maz-ing! Like choirs of angels singing, a-maz-ing! Not cheap, but truly decadent. Order a whole cake or just grab a piece to go! 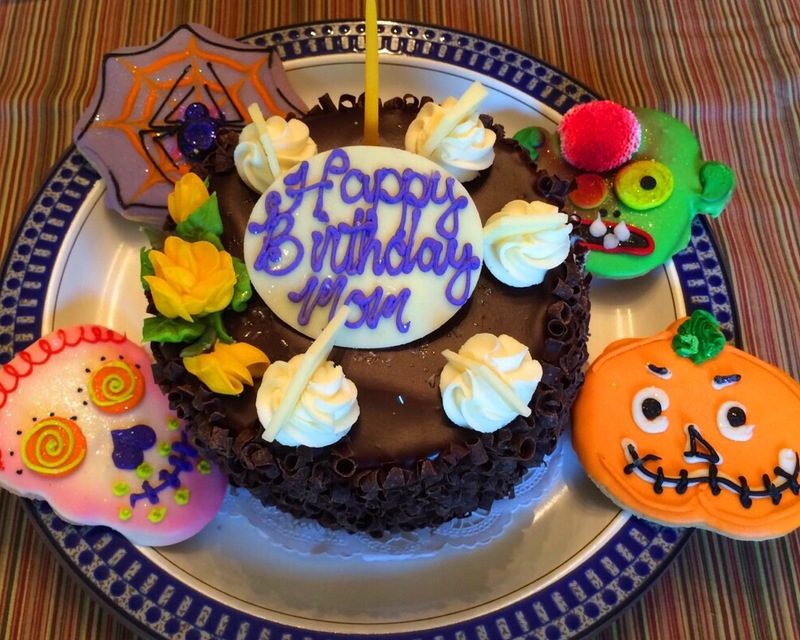 The first picture is from my Mom’s birthday in October; check out the cool cookies around the cake. The second pic is from a recent take out order! There are a few local businesses, such as Dewey’s pizza, that offer the Opera Cream Torte on their menu which is incredibly fortunate for people like me who have chocolate emergencies because unfortunately, BonBonerie isn’t open in the evenings. I have actually gone to Dewey’s JUST for the Opera Cream Torte. True story! 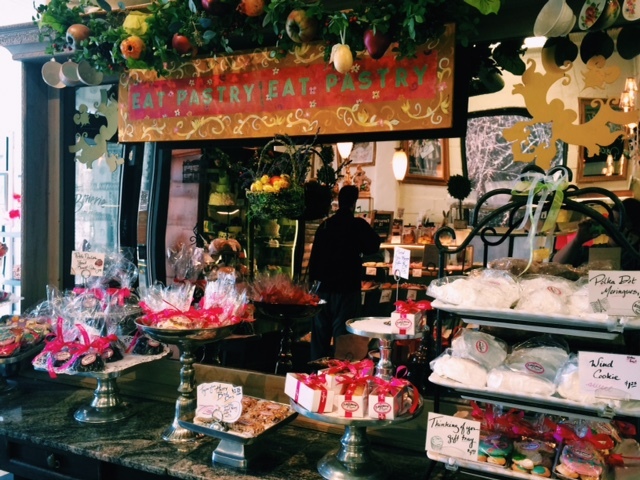 Inside the bakery, cases are filled with beautifully bright cookies, assorted cakes and pies, melt-in-your-mouth brownies, and more. Everything is beautiful and enticing. BonBonerie also does an incredible creme brulee. Honestly, it’s the best creme brulee I’ve had in the city! The vanilla and chocolate custards are deliciously creamy and topped with the perfect layer of caramelized sugar- never burnt. 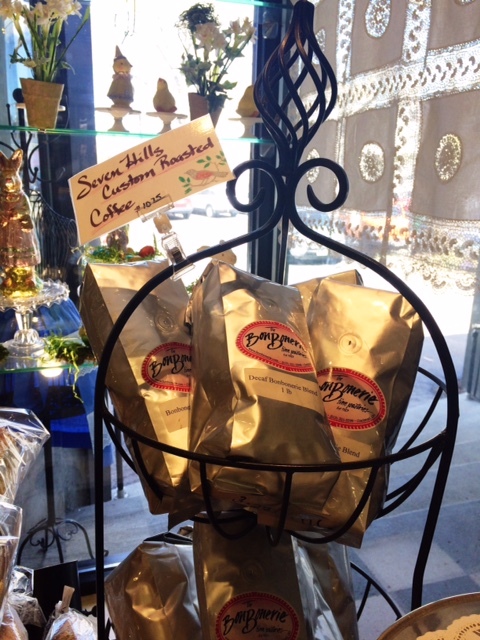 Also noteworthy, Seven Hills, a local, wholesale specialty coffee roaster, provides coffee for BonBonerie and has created a couple special blends just for them. My favorite, of course, is the Opera Cream blend. It’s smooth, balanced, a little sweet, with low acidity. We have often gotten a box of treats and a coffee to go. Then we go to a local park and enjoy! BonBonerie is located in the cute little neighborhood of O’Bryonville. If you have time, check out Ten Thousand Villages (fair trade store) and Indigenous (handcrafted items) after you get your sweet treats! GO THERE (BonBonerie)! TRY THAT (Opera Cream Torte)!